awesome coloring and card! 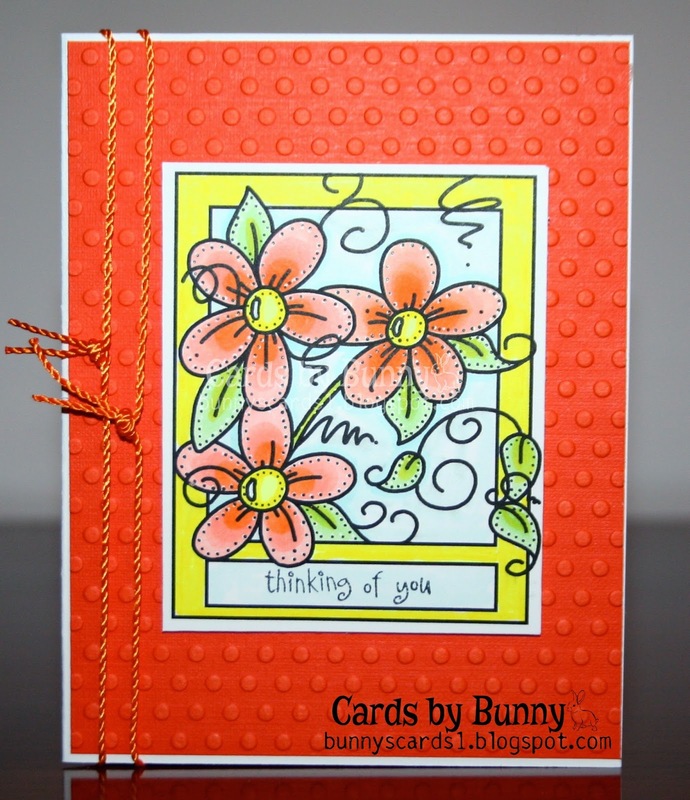 Thanks for joining us at Lil Patch of Crafty Friends Challenge Blog. Spread the word! Our challenge is always anything goes! Good luck! Great colors, great card, great image and so glad you joined us at Catch the bug. Beautiful creation and I love the vibrant colours used. Thank you for joining us over at http://lilpatchofcraftyfriends.blogspot.co.uk/ challenge 9, good luck. Lovely card with a beautiful image and super colours, thanks for joining in our challenge at Fab'n'Funky. Lovely design and image, fab colouring and colour choice! Thanks for joining us a Fab N Funky this week. Gorgeous card Bunny! I love the pretty flowers and the embossing looks wonderful. Beautiful card!!! Thank you for sharing with us at Fussy and Fancy and good luck!